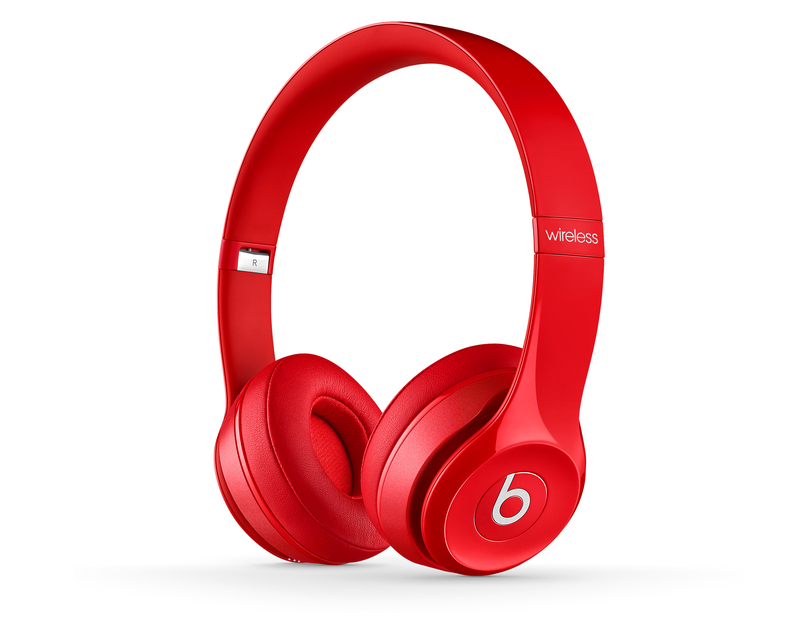 Here’s a product likely to be on countless Christmas lists: On Wednesday, Beats announced a new pair of headphones, the Solo2 Wireless, an updated version of its bestselling Solo2 on-ear headphones that connectd to your music player through Bluetooth. This product was first revealed in an FCC filing last week. There were indications in the FCC paperwork that the Solo2 Wireless could sport some [company]Apple[/company] branding. But there is no evidence of co-branding in today’s announcement: These $299.99 headphones are [company]Beats[/company]. The Solo2 Wireless is nearly identical to the Solo2 in terms of industrial design. It’s still an over-ear headphone that should deliver improved clarity and bass over the earbuds packed in with your device. But instead of connecting through a 3.5mm cord, it’s a pair of Bluetooth headphones. That means there’s a built-in battery that lasts 12 hours and your headphones can be up to 30 feet from your music player. There’s also a microphone built into the cans so you still can pick up or take calls — or talk to Siri. If your battery runs out, the Solo2 Wireless can use a 3.5mm cord. Somewhat surprisingly, the Beats Solo2 Wireless uses a Micro USB cord to charge, even though Apple has toyed with the idea of using its own proprietary Lightning cable for headsets. Beats makes other wireless headphones models, the most recent being a set of sports-oriented earbuds, the Powerbeats2 Wireless. Even though Beats is treated as a largely independent subsidiary of Apple, it’s not hard to see the outlines of Apple’s overall strategy. Next year’s Apple Watch will be able to play music, according to Apple CEO Tim Cook, but the watch lacks a headphone port. So people who want to use their Apple Watch as an iPod will need to pick up their what may be their first pair of Bluetooth headphones — and Apple is hoping a lot of them will be Beats. While this is good news for Beats fans, there are other better and cheaper alternatives out there. For example, I have found the Sol Republic Bluetooth headphones to be far better sounding with the added advantage of multipoint connectivity which beats has not been able to provide so far, AFAIK. Also, I have broken the headbands on two Beats cans in the past, while the Sol is sturdier and has a replaceable headband even if it breaks. Apple has to work on the Beats customer service before putting it’s name on the headphones IMHO.